Toronto, Canada February 20, 2019 – SiO2 International Inc, developer of safe, easy-to-apply, hydrophobic, abrasion, and stain resistant Ultra Thin Glass Coatings, proudly announces the launch of our most recent website. SiO2’s scientific expertise comes from over 25 years of surface coating experience in performance and industrial sectors. The redesigned website offers quick and easy access to essential information about the Company’s SiO2 Technology, often referred to as Liquid Glass, and shares the latest in product development as we endeavor to offer our clients industry-leading surface protection. It has a clean uncluttered design, improved functionality and enhanced rich content focused on the Company's mission to create, develop and manufacture high-performance and industrial SiO2 coatings. We assemble safe silicon dioxide (SiO2) molecules that form a molecular quartz glass barrier between the environment and the surface that allows the surface to breath. Once applied, SiO2 Ultra Thin Coatings deliver additional characteristics to surface while remaining undetectable. We use no engineered nanoparticles or toxic materials in our surface Technology. Silicon dioxide, the chief ingredient in glass, is found in the foods we eat and is essential to good health. It is environmentally respectful and considered a food additive by the FDA (FDA CFR-Title 21, Chapter 1, Subchapter B, Part 172, Subpart E, Sec. 172.480). Our coatings can be applied using a simple sachet cloth or standard tools found in most industries. Unlike the common industrial products we replace, our VOC free products can be applied without the use of safety equipment. SiO2 International’s redesigned website is now live and will be updated on a regular basis with news of product launches, business activity, corporate milestones, events, and investor and financial information. Water Removes a Potentially Sticky Material. Once concrete is treated with our SiO2 Technology, the surface becomes Self Cleaning. On an untreated concrete surface, the concrete powder would become sticky and adhere to the surface making it extremely difficult to remove. Our treatment allows water to act as a cleaning agent removing soiling elements and keeping the surface clean. Easy to apply, SiO2 ultra thin coatings self-cleaning properties can protect against soiling elements, acids and environmental decay. Its self cleaning attribute will reduce maintenance costs and will safeguard precious surfaces from sunlight exposure. Learn more about the natural attributes found in many of our SiO2 coatings. SiO2 Ultra Thin Coatings – Advanced Surface Protection. Office buildings, airports, hotels, condominiums, banks, hospitals, medical/dental facilities, schools/colleges, retail stores, warehouses, stadiums, gyms, the list is long. Virtually all commercial and public buildings depend on regular maintenance services for both their customers and employees. When traffic is introduced, dust, dirt, clay, grit and sand moves around which can abrade a floor surface. The erosive results are compounded when liquid binders, such as petroleum, grease, oil, animal fat and water, are introduced. Hot spots are specific areas of condensed traffic. Examples of these areas are focal points where traffic follows a natural path to a destination causing abrading and staining in that specific area. Hallways, checkouts in grocery and retail stores are considered hot spots. Lobbies and entrance ways, elevators, revolving doors and ticket counters are common areas where hot spots will occur. Safe and easy to apply, SiO2 Products are water, abrasion and stain resistant (see Our Coatings for natural attributes found in many of our coatings). SiO2 Ultra Thin Coatings safeguard the value of an asset by extending its life and reducing maintenance and cleaning costs. SiO2 International’s easy clean products offer an alternative to conventional protective coatings, are more effective and free of chemical, resins, adhesives or toxic substances. In most instances, surfaces need only be cleaned with water to maintain a clean, chemical free environment. SiO2 Technology’s inherent characteristics include the ability to control problem microbes safely with a sustainable, VOC free, molecular quartz glass coating. Our treatments will lessen the need for chemical cleaners while offering an extra level of protection never before available in the North American market. SiO2 Ultra Thin Coatings are undetectable as shown in image 2. Our SEM (Scanning Electron Microscope) indicates no difference between the two but a distinction is clearly indicated by the super phobic behaviour of the droplet of water. (inset in image 2). Image 2 is cotton after an applied SIO2 Industrial Textile Coating. Notice the cavities between the fibers remain open to allow the human body to breath and water vapour to escape. SiO2 Technology allows fabrics to behave naturally and add the many characteristics inherent in our Ultra Thin Layering Technology. Our safe, quartz glass coating completely encapsulates the individual fibers protecting the textile from abrasion, aqueous liquids, oils, solvents, bacteria, mold and mildew, dirt, staining etc. Our SiO2 glass coatings become flexible and will expand up to 200% making it ideal for exterior use and for products that need to breath like fabrics and stone. Once applied, the coating is undetectable and protects the surface for years in some instances. SiO2 Ultra Thin Coatings are effective, durable and anti-microbial. This means no more adhesion of soil and long-lasting protection against adhesion of mould bacteria and considerable reduction of chemicals used for cleaning. In most instances, surfaces need only be cleaned with water to maintain a clean, chemical free environment. Our coatings do not change the color or finish of your surface. SiO2 Coatings are quick and easy to apply by spraying, wiping or dipping the article to be treated. No special equipment or vacuum chambers are needed. Our SiO2 Textile Industrial is utilized during the manufacturing process. It requires heat to cure. 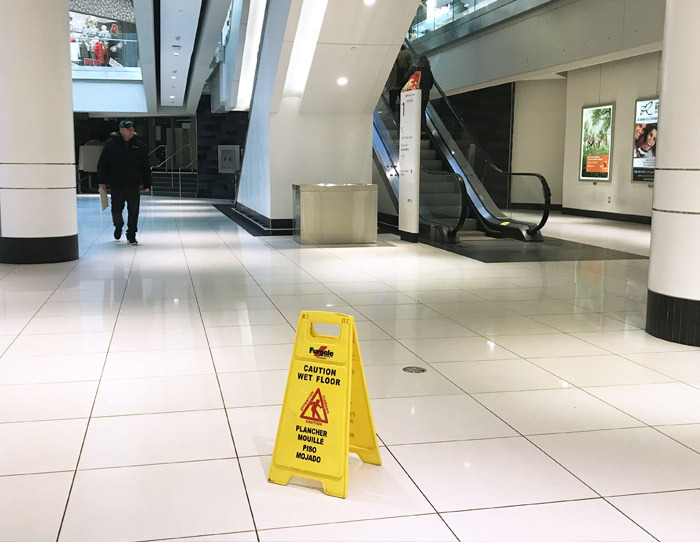 Protected surfaces become superhydrophobic and superoleophobic, and resistant to staining and abrasion. Because our glass layers will allow treated substrates to breath, application to stone (e.g., concrete, marble, limestone, travertine, granite) and wood is also possible.